To the uninitiated, used to seeing it but not to reading it, graffiti scrawl can seem illegible. 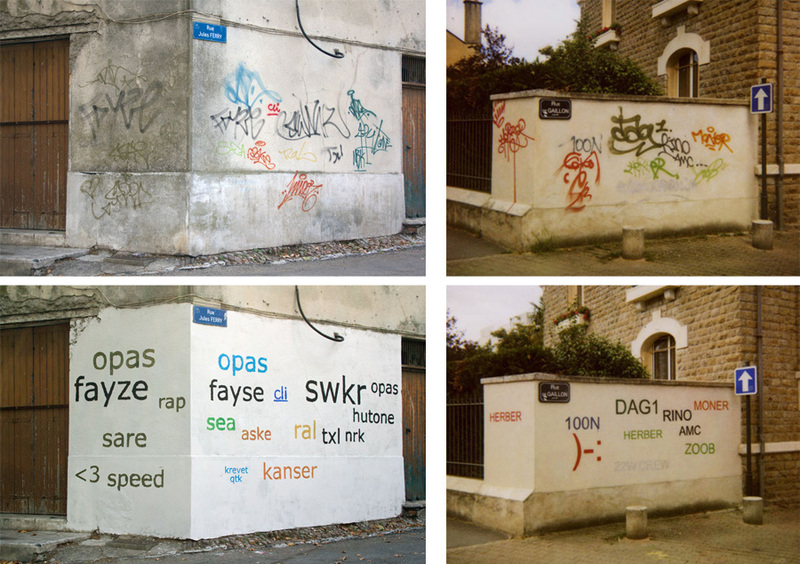 In a play on both tagging and technology, this artist turns traditional tags into computer-style tag clouds, among other geeky street art projects. Mathieu Tremblin could be criticized for stripping the soul out of the works he modifies, but that is too narrow a reading of his art. 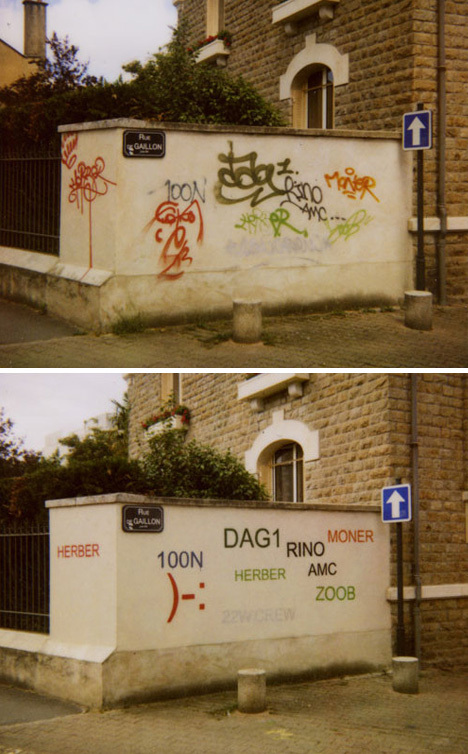 He is really not suggesting a better way to graffiti, just commenting on what is there, and making what is right before our eyes already a bit more visible. 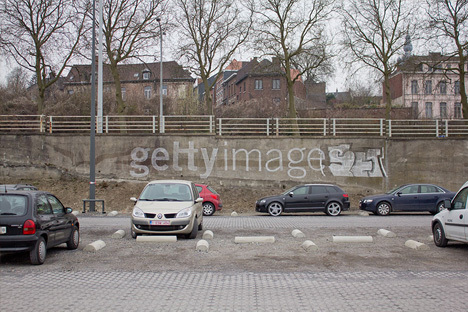 In another work, he spoofs the ubiquity of digital watermarks by photographing a physical equivalent straight-on. We are so used to seeing these as after-print overlays on pictures, it takes conscious effort to realize it is part of the actual landscape. 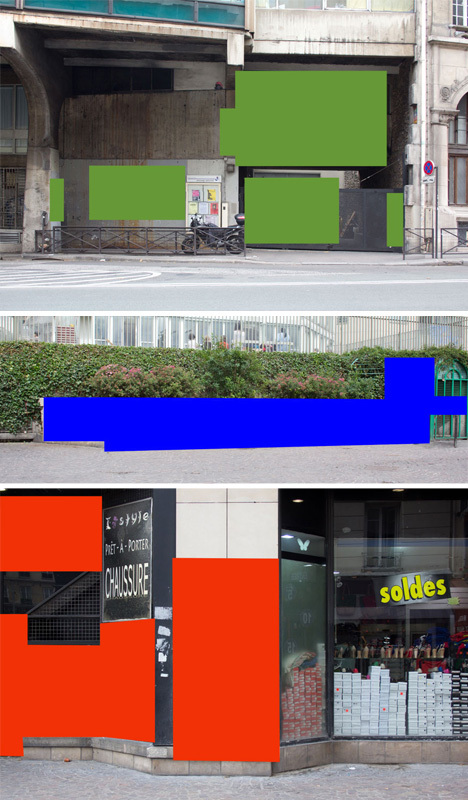 Then, a complete reversal but in much the same mindset: a series of images where he has digitally stripped out graffiti by overlaying patches of Photoshopped color. In this case, it takes some time to recognize this is not just another case of painted-over graffiti removal.